1. Click on Sales Tax (or under taxes) at left navigation bar. 2. Right below the Agency name is a blue link to rename. (Screenshot 1 below). 3. 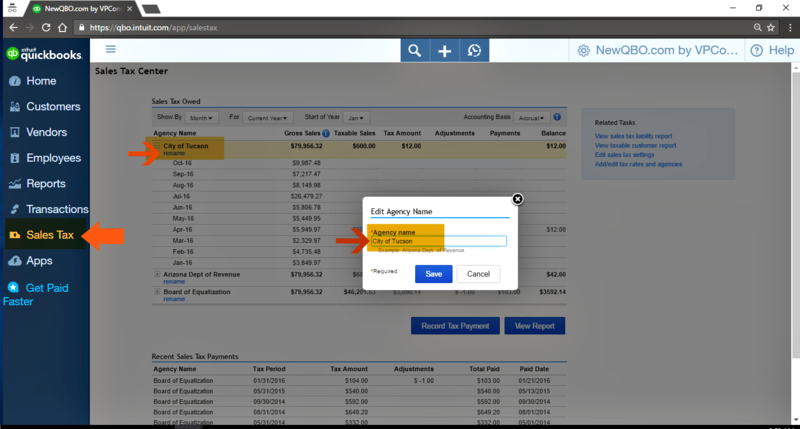 Then enter the Agency name so when you write a Sales Tax Payment check, the Payee name is correct.